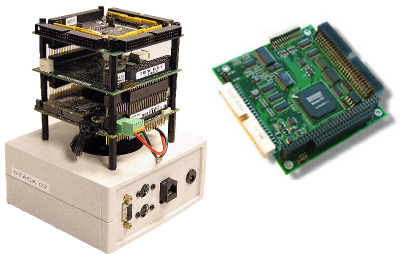 A generic PC/104 target equipped a Sensoray 526 multi function I/O card to provide Input Output functionality. PC104 and Sensoray 526 card. •Four 24-bit quadrature encoder inputs. •8 x Digital Input. Binary input. •8 x Digital Output. Binary output.